Almost all my weekends are fully utilized, the last weekend turned to be a best weekend ever. First thing is about my farm activities. Entering into wholly new industry really thrilling and exciting exercise. 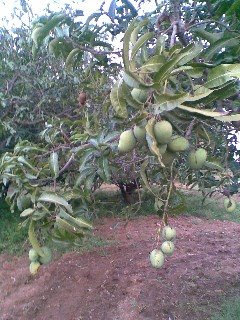 My recent possession of the farmland made me to enter into the agriculture activities. After the Sugarcane, Mango, Coconut now I’m experimenting with Rice and Chilly. 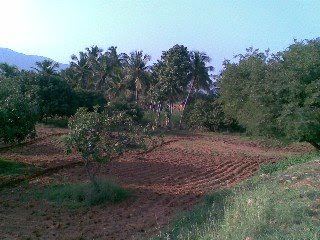 The entire free lands have been made ready for the cultivation. Last weekend was a good day for the chilly plantation, after preparing the land with plough; the villagers extended their help in planting the chilly saplings. 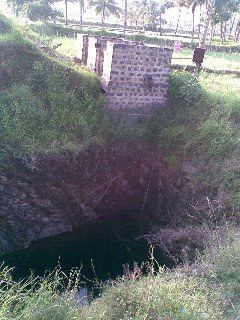 Since the monsoon is started, the well in the farm is filled with water I’m hoping to see overflow of water in couple of weeks. 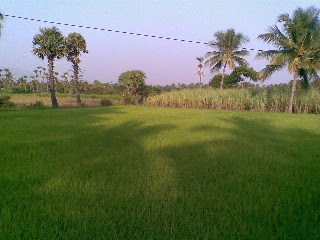 The paddy bed in the farm looked like a green carpet. Now I'm only acting supervisor of the activities and learning the agriculture work. I hope one day I will have skills to do hands on cultivation. Last weekend also turned out to be a good weekend as I have visited one of the school and shelter of HIV infected children, orphans and poor kids. they got some hundred and fifty kids staying at the school. My team in my office contributed some amount for doing some charity work, hence my visit to the school. We could manage to provide 2 meal sessions to the children at the school, My sincere thanks to the contributors of my team for the great cause. A part of the amount has also been given as donation to another charity that runs a home for Phycically and Mentally disabled children. This is what I would like to call as mechanical wonder. I’ve already developed a greater level of belief that the Tractors are the true utility vehicles. In fact multi utility vehicle term is best suited for the tractor. The tractors can pull the aircraft, work in farm, tow huge trailers loaded with tons of goods, generate air compression for bore well equipment and so on. Today due to the heavy rainfall in the dry Chennai city, most of the streets and localities are flooded. 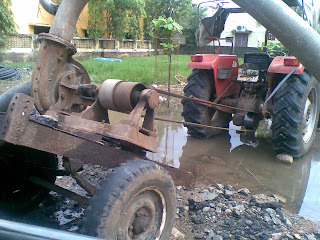 You know what, tractors were in action pumping out the water from residential areas. WoW… I didn’t know really how the PTO like attachment in the differential could rotate the pump when the tractor was stationed in a static location but it was pumping out huge amount of water. It was an unforgettable day yesterday, around noon I got a call from my Jeep Thrills club friend (Mr.Patrick) inviting me to join with him for the coaching session for his son, who incidentally a national champion in sailing competition. Pat is professionally a petroleum rig engineer and also got handful of adventure sport experiences. I couldn’t say no to this opportunity; hence I promised him that I would join after my work hours. After noon around 3PM I visited the Chennai Port Trust campus, which is one of the largest harbors of India. Pat had organized all my entry procedure well before my arrival so I didn’t have much hassle in getting into the harbor. From the time Pat invited me, I was thinking I will be sitting in a compound wall on the shore watching the sailing of kids but my assumption was wrong, I realized it after meeting Pat. Pat received me with smile at his face, and asked me if I have shorts and chapels to wear, as I was from office I wasn't prepared. Then we deposited all my stuffs in the clock room and Pat took my mobile phone with him in a polythene cover. After wearing life jacket we straight moved to the boat jetty that is directly on the harbor front. So many varieties of sailor’s boats were on the jetty. I never knew till I saw them that Chennai got such a facility for the sailing practice.Pat’s elder son is a champion in under 15years old category; hence yesterday was coach time for under 15 year old kids, along with 2 more champions too. ohhhh there were around 6 kids floating on the harbor water in a small sailing boats while the massive ships were crossing here and there. I heard the towing ships honk at them for asking way for exiting ships. We gathered in a motorboat and towed the sailors(kids) to the sea, while Pat measured the wind direction and speed with his instruments. I had nice chat with him to know about the nautical miles and measurement sitting next to him. It was amazing to see those kids performing at the sea, WoW! What a physical and mental exercise to be on the boat the kids needs to concentrate on the wind direction, compete with fellow sailor, tide, sail, boat, the direction and remove the water which got into the boats. I have listed very few here, as my knowledge in sailing is ZERO. The kids raced themselves on the sea and they beat each other with many techniques thought to them by the coach. They are simply awesome and I envy not to be with them in their generation. 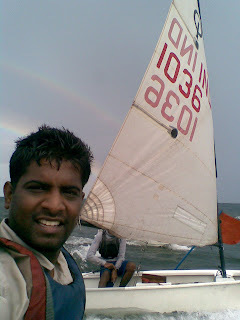 While the kids in coaching session, I observed my first every sailing experience on the sea watching the scenery around me. I didn’t carry my camera, but couldn’t resist asking Pat to give my camera mobile from the polythene cover and clicked few pictures. 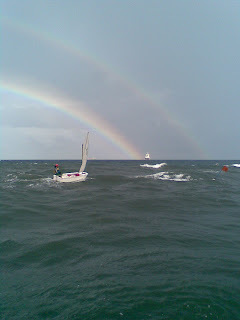 It seemed the massive ship which passed us some time back had traveled to the end of horizon touching the rainbow edge. Unfortunately my mobile got a tiny camera, which couldn’t capture it that well as I noticed. Since yesterday was rainy day we had some shower at the boat but that didn’t stop the kids practicing the adventure sport. All my life, I was seeing the Bay of Bengal with black color water, but yesterday after crossing a little distance first time I witnessed bluish water in the sea. Around 2 and half hours of floating we returned to the shore and had some snacks. 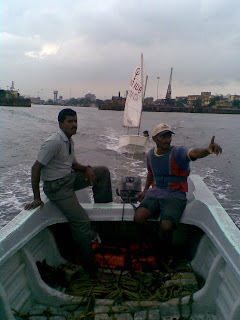 I took farewell from Patrick who is also a member of Tamilnadu Sailing Association. During my discussion with Pat, I was informed that the association also organizes corporate trips to have sailing experience. hmmm added into my list of team outing plans. Thanks to Patrick for giving me the opportunity for the first time sailing experience on the sea. 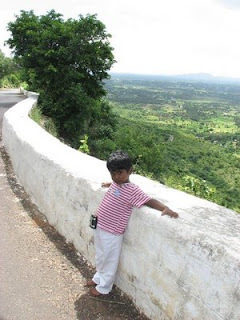 It was first time trip to my kids to Trivandrum, though they are half malayalees, they never had chance to visit. 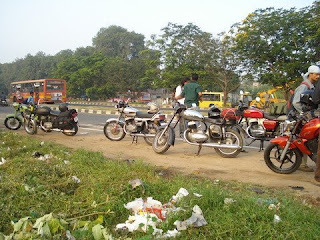 My RD350 RTO work made a perfect chance for my family to visit Trivandrum, Kerala. It was a brief trip and not much of tour plans as I was filled up my schedule for RTO work. However, found little space to visit the Zoo with my family. 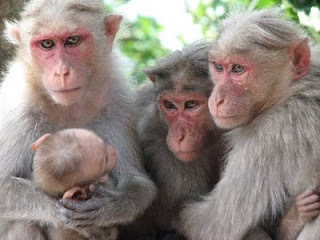 I always liked Trivandrum Zoo due its green nature. 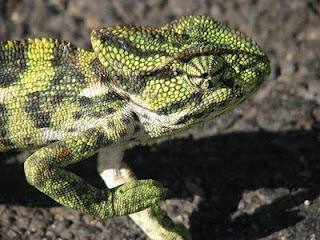 Unlike Chennai’s Anna Zoological Park, which is vast and dry, which makes people to get dehydrated, the Trivandrum zoo was maintained very well with lots of trees and it is small. There few varieties of monkeys and caged lion, cheetah, tiger and giraffe are my attracted animals for my kids. The Rynosaurus really took my eyes out and it was freed in its place along with elephant, mongoose and some deer. The zoo got really lots of hippopotamus; I think they were zoo breaded. There was 2 cute baby hippo with 4 or 5 bigger ones. This trip also gave us opportunity to see the flower drawings done by Malayalee ladies as part of their onam celebrations. Though the onam was over 10 days back, the celebrations didn’t get over yet. Trivandrum was once capital of Travancore kingdom hence lots of palaces in kerala’s own style। These buildings are owned by some govt. bodies for office space and also some are under Archeological department. Trivandrum also famous for Padmanaba swamy temple, Travancore kingdom's fort, Kovalam beach, Kochu veli beach etc. But we really had little time to spent in there, so just wound our trip without seeing all of these places. However in the forth coming days we will visit again to explore the places we missed in this trip. Anyway this trip also turned out to be the first Train trip to my kids, hence they had a real good time in the train for longer journey. I found many times my kids were hanging on the window grill or in the sleeper berth. 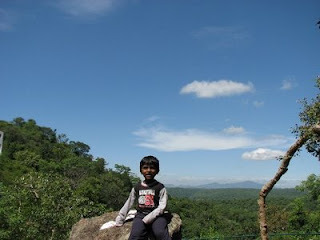 Trivandrum is around 910kms from Chennai where we stay hence it is 15hours of trip filled with kids fun. It was another photo trip organised by Chennai Photography Club, the place choosen was TADA, It is a place in bordering state(Andra) with Chennai, TADA is full of rocky terrain covered with thick forest. The trip started from a discussion in CPC yahoo groups and made its way to get materialized as photo trip. We were geared up with our plans expecting to feed greater pictures to our hungry cameras. Yesterday around 4AM in the early morning I woke up after my alarm’s continues wake up calls. 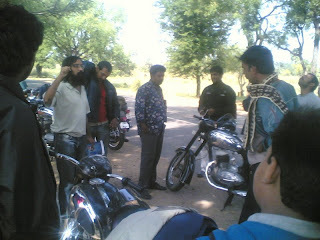 As we were planned to go TADA in my jeep and 2 more cars, we had around 13 people in the tour. So we set our target for 5AM to getting out of the city. Early in the morning, we witness the city is already awake before us on a Sunday. The roads were already busy and traffic signals put us behind 15minutes in the schedule. Though we could manage to start around 5:30, and I have seen few guys in the team back footed to sit in my Jeep thinking that the trip may not be as good as they thought in a jeep. We reached TADA after an hour of travel which is around 70kms from Chennai bus terminus, and had our break fast in the village. After our break fast, I quickly removed the Jeep’s top and folded the windshield down. Hurray… now people started noticing some difference in the jeep, that’s were the Jeep show off and actions started. We were again started going toward the TADA water falls also known as Ubbalamdugu Falls or Komba Falls which falls around 15kms from the village we had break fast and the place provides full fun for hillocks and hiking. On the way to the forest I showcased some extreme offroad stunts with my jeep, after the stunt, man… I noticed all are almost became Jeep fans. After brief offroading the jeep had issues with the clutch and we had to correct over selves as in the deep forest with no one to help. Then the group started moving towards the falls which is on the top of the hills, I thought the trip will have lots of walking but wrong, It was too much of hiking. One can really burn the fat much faster than they can do in a modern gymnasium. I have started feeling muscles pain and sweat everywhere in the body. 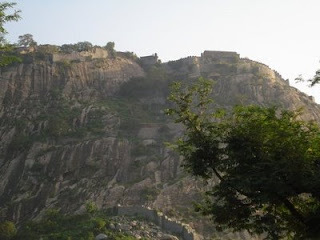 But the ambition to reach the top kept me going, we crossed the water ways couple of times during the ascending path, Discussion with many visitors in the uphill path proved most are from Chennai. The running water was too clean and it was crystal clear and we could see the small fishes in large counts. The moment we put our foot in the water, the small fishes start biting us, many of those people climbing upwards took rest near the water ponds and started taking fish kissing therapy. Finally we reached the top and man… it was a disappointment as not much of water in the falls, a lean water flows from the hills like water leaking from the tap. 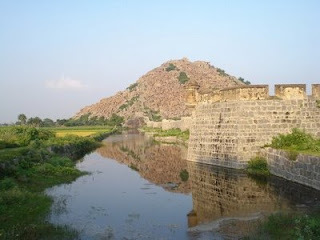 Though the ponds created by surrounding rocks had a good swim-mable water stagnation and I enjoyed it to my best. With few clicks of butterflies, water bodies and the forest we started descending towards the car park area. In general the trip was too good with lots of physical work to the totally stalled information technology person’s body, but I felt real tired and exhausted. 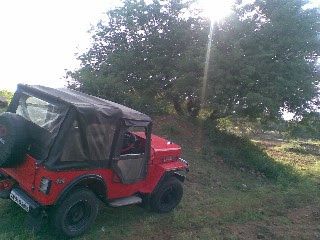 The return trip to Chennai was in open jeep with my hair flying on the air... this is the one think always bonds with my passion for opentop jeep. Now it is time for others to realize the fun traveling in jeep and couple of them tried to drive the jeep for short distances. We used be a scattered team working for the same project. I remember most of us don't even interact thinking that each other is from different planet (?). May be it was that we were from different geographical and technical background. Probably that is how everyone felt. The whole attitude changed with our Jungle journey to Jawadhu hills. 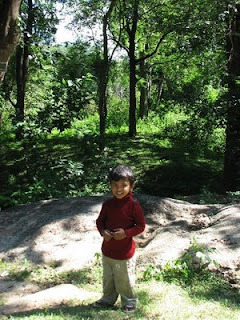 We travelled to a reserved forest which is fenced by forest department where one can truly experience nature's nirvana. Since the day we planned the trip, I was overwhelmed by the excitement from team members and their support to make the trip alive. Pretty soon, I picked up the catalyst position to make the plan into action. Myself(Siva,Web team), Tamil(Service Delivery Manager), Gopi (GAM team) all started looking for list of to-dos as we had 100+ team members to be invited. However due to the service model and team members personal commitments the 100+ members made way for the 40+ people team outing. Before I took the execution, Internet came into picture by providing first hand information about organizing a corporate tour, that was an eye-opener towards the possibilities. There I got to list Food, Accommodation, Transport, Activities, Locations, Safety, Route and Location guide into a checklist format. As we have chosen Jawadhu hills among three other proposals for team outing, the immediate attention was to organize accommodation and food, because the place we choose got not much of facilities, even though it was a beautiful place with lots of opportunities for fun. The first call to the Block Development Office at Jamunamarathur in Jawadhu hills for guest house booking was a success announcing our first action plan with right symbol in the checklist. The BDO's office got newly build guest houses with very attractive accommodation tariff. Since it is not a major tourist location, there is no restaurant. So, with some influence of known people in the village I got a local villager to prepare food for our team. 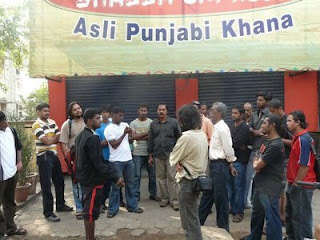 We had worries about the quality of the food even though we have placed the order for preparing food for us. People realized later in the trip that the food prepared by villagers are much better and changed our perceptions drastically. Keeping few of my previous team-outing lessons in mind, I routinely started communicating people with what and what not to be expected in the village. 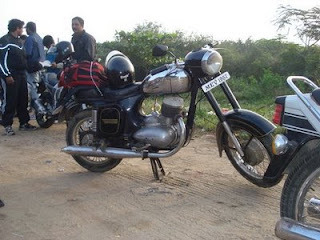 In fact that’s one thing created a greater influence in teammate’s mind to join the trip. 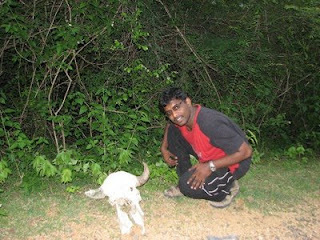 Mr. Tamil’s voice (I should call yard stick) drove the whole team to come out with a positive appearance to the trip. 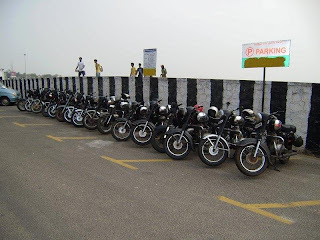 That’s when the transport arrangement had got kick started. Next to Accomodation, Food and Transport it was time to grab some articles for memento and prizes for the team games and activities.,, hmmmm "Saravana Stores" thats the magic. On the 6th September, early in the morning, my mobile started screaming at me to wake-up...opps 30mins to go, before I reach office as per my schedule. I really remember the 30mins time how I spent to make myself fit into the car to rush towards office. The trip was scheduled to start at 5:30am from my office building with two mini buses which can accommodate 20 adults each. Though the plan was to take 40+ people, few had to stop due to various reasons hence we had 39people boarded on the bus in various pickup points. By the time the bus crossed the borders of Chennai we have already reaching 8:30am in the morning, I heard my soul saying I was behind schedule and for my fate we totally delayed 4 hours when we reached the top of the hill. 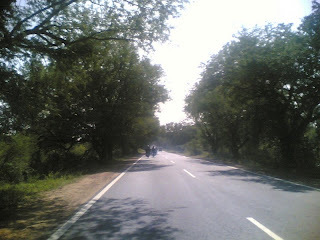 Leaving the highway drive back, each of the trip mates got full fun in spite of their hungry stomach for the lunch. We saw the mountains covered with a green carpet (should I say bed sheet?). The clouds passing the hills with mild cool atmosphere continued to become cooler and cooler as we started climbing upwards. After multiple delays we reached the top with little more than a smile at everyone's face. That was positive sign to me that the trip is going to make every one into a single circle. Obviously at the end of the trip the result was evident, the team outing made the team really bonded. Quickly we served the food prepared by the villager. Much longer before we arrived at the top, the villager was punctual enough to bring in the food at right time. The empty stomachs of our folks made the food to taste more than delicious. You know what, I got a pass mark from the team about food arrangement. That was clearing all my worries about how the food going to taste like? Our first challenge with the trip was food as it got cleared, the next one to take the fully tired team to the world 2nd largest observatory. A 91" telescope installed in Vainu Pappu Observatory in Kalavalur village of Jawadhu hills, it was around 10kms distance from the guest house we stated. 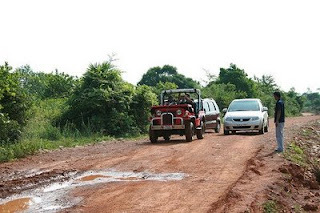 The trip from guest house to observatory was fun as we were guided by a local person who explained couple of paths where the machine and wild life meet each other. 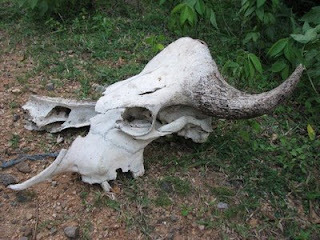 Yes, he said many times the Bisons and Elephants cross couple of places we were driving. We got another reason for excitement, some started even praying that the animals should cross our path so we could encounter the all new experience of meeting the wilder animals at their court. 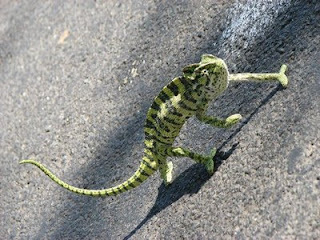 Driving in an unknown territory with full of hope to meet the wild without getting hurt, hmmm too much of expectations. Taking such a big numbers into the jungle was no joke. Many things could go wrong, bad road, nature’s mood, no prior experience, high possibility of breakdown, etc. In spite of all, we got very excited about driving down in an Jungle. After couple of minutes driving we reached the VPO at Kavalur. The gate was closed for security checks before allowing anyone into the facility. The guys had real experience in seeing the largest telescope from outside as the day we visited got clear sky with lots of scientific observation happening, so we lost the opportunity to go inside the largest telescope. The largest telescope was in the height of 8 story building and the dome was designed to facilitate 180 degree rotational view for the telescope. We were allowed to the 6" telescope for star watching, though we were shown the Jupiter and moon. My collogues from HCL were looking at the telescope with their eyes wide open. Tell me who wants to miss out such an opportunity to see a planet which is much far away from our home? Now it was time to return to the guest house through the same jungle, hmmm there you go. The experience now is to drive the buses into dark jungle with same hopes of encountering our wild friends. Oh Boy! same bad luck, none of them were ready to show their faces, but we were not really disappointed as all of us were looking forward to the forth coming fun in the camp fire. Quickly the attender in the guest house built the infrastructure for camp fire, few bottles of cold drinks and of course the safety measures to ensure that we create no wild fire ;-). We finally gathered again to lit the light, the temperature in the hill top was already cooling down and the campfire added a unique weather around us. We also achieved the attention of passer by crowd. Nothing worried any of us and the party began with added joy of hill station visit. It was really great to see highly trained IT professionals to perform the tribal dance. The time was ripe and all of us jointed our hands together creating a huge success to the trip and team. We played few team games with music to add some background fun. After the team enlighten with real team spirit infront of fire god again, Now it was time for food, our dinner session. This time we were ran out of food to fill everyone's hungry stomach. But I received no negative feedback and everyone started smiling back with their support and cheers for making this trip in a right time. After camp fire was put out, we rolled over the sleeping bags to get back with the scheduled activities. In the next morning with freezing cold weather, we woke up each other by increasing the ceiling fan's speed. ha ha ha I still remember how people expressed their reactions. hmmm but as per our plan we were about to reach the water falls to enjoy the morning bath. Quickly after few minutes the whole team was set into trekking mode towards the waterfalls in the jungle. We started marching on the village road which directed us to the jungle path. The trekking added more excitements to the team, they were started creating new fun by lifting stones, capturing the villagers and the nature in their tiny little digi cams. We had even clicked a beautiful tribal kid wearing birth day suite who was doing cultivation :-). The village was scenic with mountain cultivation and tribals. We had terrific experience of 360 degree filled with camera friendly landscape. Guys in our team couldn't control themselves posing for pictures too... I remember hearing again and again "take my picture here please". Now it is man who made the green out of nature. Green Green Green every where the color Green with lots of Green shades. Hey forgot to tell that the professionals had already forgotten their computer screens and started acting like Tarzans. Wow.. the creepers and hanging folks Yaaahoooooooooo my camera had full fun too. We finally reached the water falls, setting a chorus “WOW” into every ones mouth while the eyes wide opened with load of excitement. “God! Where in the earth you got so much of ideas to create such a wonderful facilities?” A rocky terrain with white broader line passing towards the earth that is called water falls. We observed many of us already lost our most of dresses and started moving forward to the water falls to take a dip. I too immediately rushed forward and waved the team and started loosing the clothes. The water fall was too chilled creating a wholly new experience, the nature's water massage and stone therapy all good for health. The area was filled with lots of herbal aroma creating a fresh mood. I think this is going to create a envying effect to the people who read this article. Ladies and Gentleman that’s the nature's effect we can't help. By this time, I had to push everyone to wind-up as we need to rush for our break fast. It was too difficult for me and Mr. Tamil to bring people out from the falls as no one seemed to be moving out. Later we got to extend our farewell to the waterfalls and walked in the very straight and deserted stretches of the forest. I also took the opportunity to share the information about Jawadhu hills to the team while we were walking on the narrow stretches. 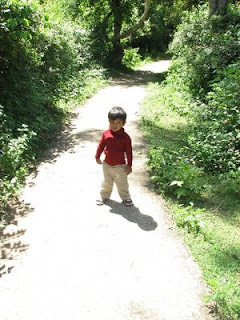 The walk was thrilled with the wild birds saying cookoo cookoo and green party shadow effect from leaves. Already we were behind the break fast schedule, but who cares as already the nature filled our mind with so much of happiness. After some time we filled our internal vessels with food. That is the point where we started moving towards boat club and cricket ground. Hence few guys joined with me for boating and rest of them pulled into the cricket pitch. That was a pedal boat with four seater arrangement, but I had six people to push in the water. Hence two boats with three member in each pedaling all the way around the lake. End of Boating and Cricket was set for lunch session, Though some of us didn't miss the opportunity to play in the kinder's park at the lake side. I realized our team is full of childish adults... he he he beer and bear seems to be always attracting the grown kids. Wow.. we had experiences that is beyond our countable range. Everyone's contribution was excellent. The lunch was served with few veg and non-veg dishes. It was time for ringing bell for winding up our trip itself. The prizes and mementos were distributed and already everyone was pushed into the buses, it is now down hill trip but I hear no sound from anyone. All of us looked some what sad face, as we were leaving the natures protected place. After a while, a serious rain looked imminent. so we closed the side windows, and drivers were pushing the accelerator pedal high. Since we are driving forward, we wanted to reach home before late in the night. Otherwise transport the individuals to reach their home may become an issue. But for our luck, all were under control and I started receiving pager from everyone about their early reach at home. It was a real good experience and fun for those who attended. Cheers!